Founded in 1906, Van Cleef & Arpels is famed the world over for its exclusive, innovative jewellery designs. From the creation of the minaudière and the very first watch with a leather strap, to the groundbreaking zip necklace and Millénaire clip, Van Cleef & Arpels are a prestige house premised on a boundless imagination. 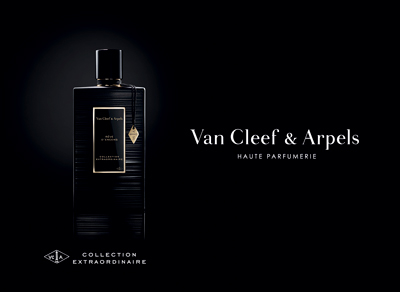 1976 saw the launch of Van Cleef & Arpels fragrance, uniting the worlds of prestigious jewellery and fine fragrances in a single perfume - First. Today, scents include the iconic Feerie, Oriens and Midnight in Paris, alongside the prestigious Collection Extraordinaire.